Marion Nestle helps us understand how food and product studies are more about marketing than science. In her book, “Unsavory Truth: How Food Companies Skew the Science of What We Eat,” Marion Nestle, emerita professor of nutrition, food studies and public health at New York University (USA), helps us understand how food and product studies are more about marketing than science and are often paid for by the companies and trade associations that sell those foods. Whether it’s a Coca-Cola-backed study hailing light exercise as a calorie neutralizer, claims for beef as a health food, or a report from investigators paid by a blueberry trade group concluding that blueberries prevent erectile dysfunction, every corner of the food industry knows how to turn conflicted research into big profit. For example, studies sponsored by the soft-drink industry are primarily used to fight off criticism that sugar sweetened beverages (SSBs) are an important factor in the US’s obesity epidemic. Coca-Cola funded a study of childhood obesity and concluded that low physical activity, poor sleep and too much television were the most important culprits. No mention of SSBs and their link to childhood obesity and diabetes were taken into account. Written with unmatched rigor and insight, Unsavory Truth reveals how the food industry manipulates nutrition science—and suggests what we can do about it. 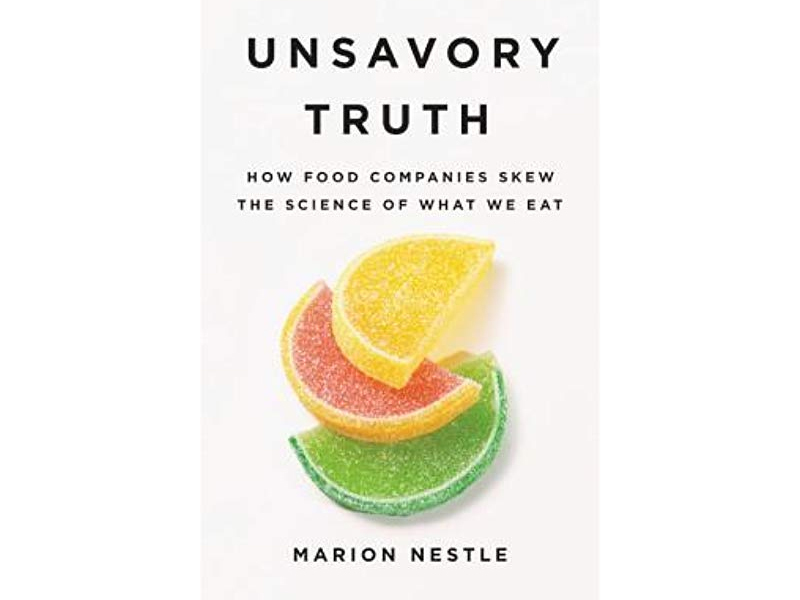 Click on the highlighted text to learn more about Marion Nestle, her blog, Food Politics, or her new book Unsavory Truth.